Dukes came to the Reed home (aka Royal Kennel) in June 2004 at 2 years of age. He began weight pulling in October that same year. His last IWPA Championship on April 30th and May 1st, 2011 in Estes Park, Colorado marks the end of an illustrious 7 season career for King Dukes. 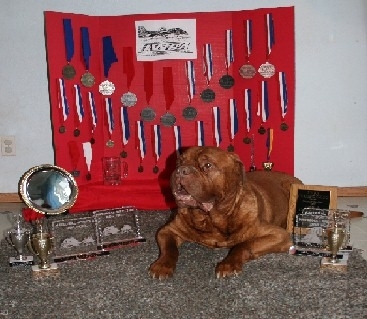 King Dukes earned Region 9 Gold medals on wheels and snow all 7 years of his career. This earned him 7 consecutive trips to the IWPA Championships where he never came home without at least 1 Championship medal. 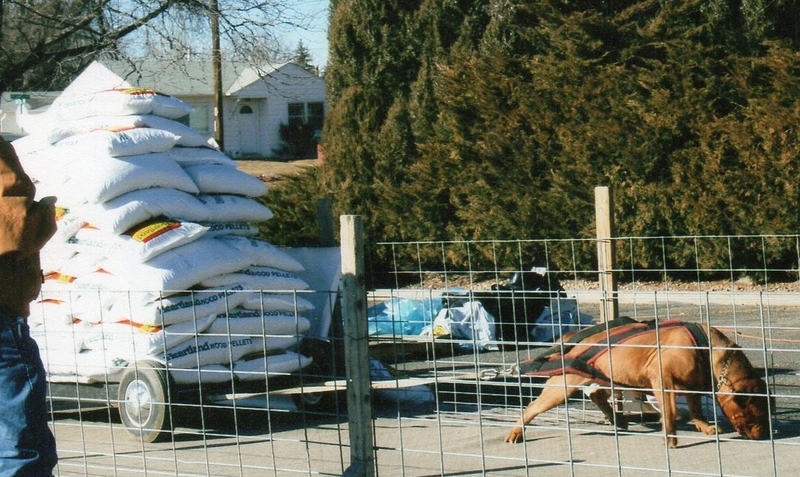 In his Championship career King Dukes earned; 2005 gold on snow, 2006 gold on snow and set a new record for artificial snow in the 150 pound weight class pulling 1450 pounds. This record held for 4 years. In 2007 King Dukes earned gold on wheels and silver on snow, 2008 he earned silver on snow and wheels, 2009 he earned silver on snow, 2010 he earned silver on wheels and snow and 2011 he earned bronze on wheels and snow. In his entire career only 4 dogs ever defeated him on snow. The first one was his pulling buddy Baron Baxter. King Dukes retired after the 2011 Championships in Estes Park, Colorado. King Dukes was laid to rest on March 27th, 2013.